We’ve all been misled. The Warriors aren’t as loaded as we think. They still are — don’t get me wrong — but their success clearly depends on one guy. And his name is Stephen Curry. This season, with Curry on the floor, the Warriors have dropped just one game. But without him? They’re 1-3. Sure, losing a two-time MVP is a thing. But with the loaded team we’ve come all come to believe they have, surely they’d be pushing a better no-Curry record than that, right? Take Curry out of the picture and their offense looks a mess. Not only does their playmaking get shut down, with the ball in the hands of a lesser player, the quality looks that KD and Klay get from Steph just ain’t there. And although KD has back to back Finals MVPs, Curry is still the poster child for the Warriors. Curry will always be the fan-favorite. He’s been there from the start, after all. KD just waltzed on in to Oracle the season after the Warriors posted the best record in NBA history, in a real cheap move. It’s kind of hard to establish yourself as the number one guy coming up against all that. Steph only makes headlines for the right reasons. With Durant, when has he not caused issues within the organization (like with Draymond Green) and outside of it on Twitter or beefing with Rhianna. And when Green told Durant that the Warriors would be just as good without the two-time MVP, he was probably on the money. And Green would never say that about Curry. 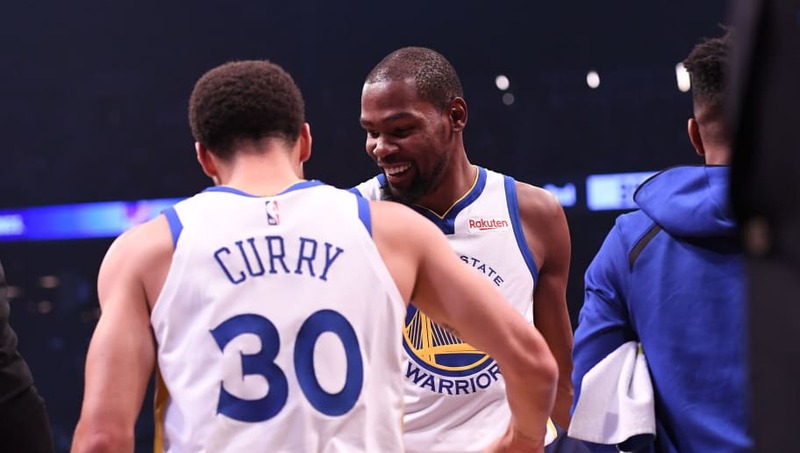 It’s a simple decision for KD come free agency: Either he can finally accept his backseat role on the Warriors, or he can leave in free agency this offseason to be the main-man again. Knowing KD’s ego, it will be the latter.